This is one of my favorite dishes that my mother cooks — I always request it when she visits me in NYC. 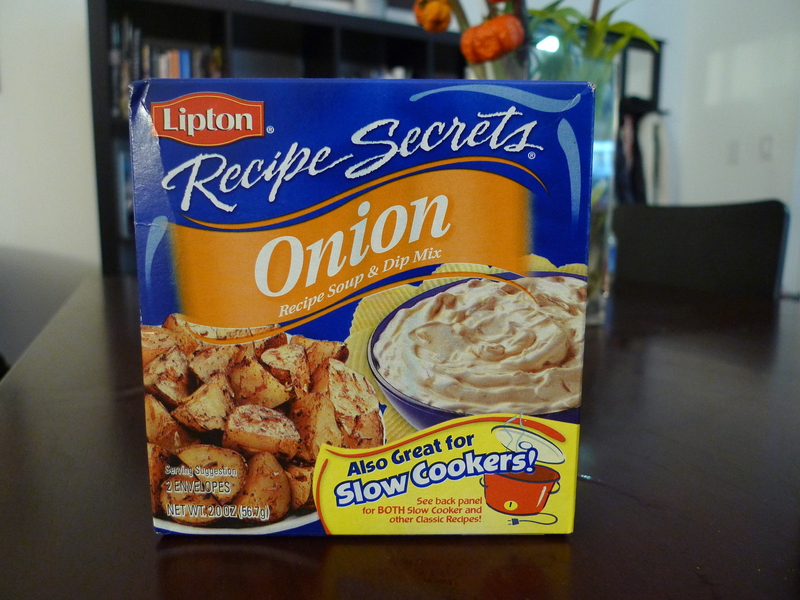 Oxtail stew is so rich and hearty, and can be very simple to cook, especially if you use Lipton® Recipe Secrets® Onion Soup Mix like my mother does. Perhaps one day I will try to create my own sauce; however, that day is not today. 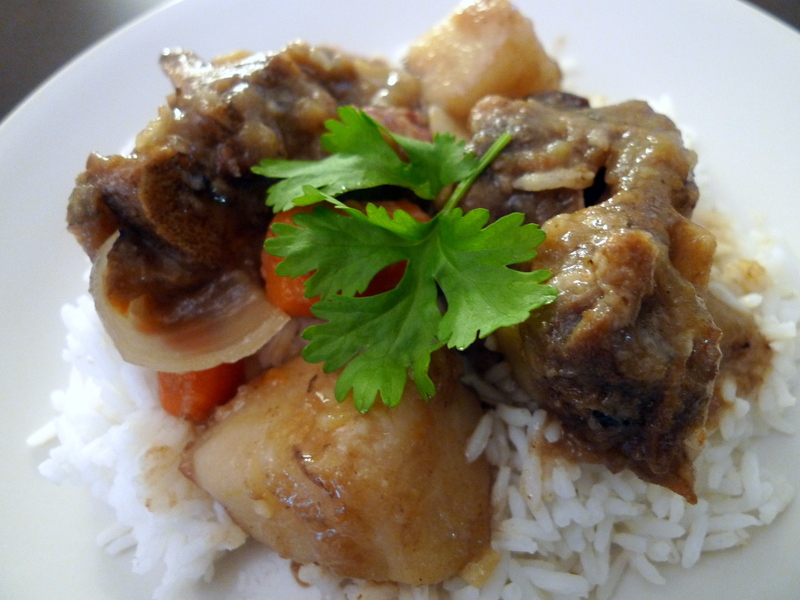 Oxtail is the culinary name for the tail of cattle, although it used to refer to only to the tail of a steer or ox. The tail is a bony, gelatinous meat marbled with fat; the muscle is well-exercised and requires slow cooking in order to tenderize. Apparently, oxtail can get quite expensive at American grocery stores, but Chinatown is always well-stocked and sells them at much more reasonable prices. The recipe is quite simple and only takes a couple hours to cook. 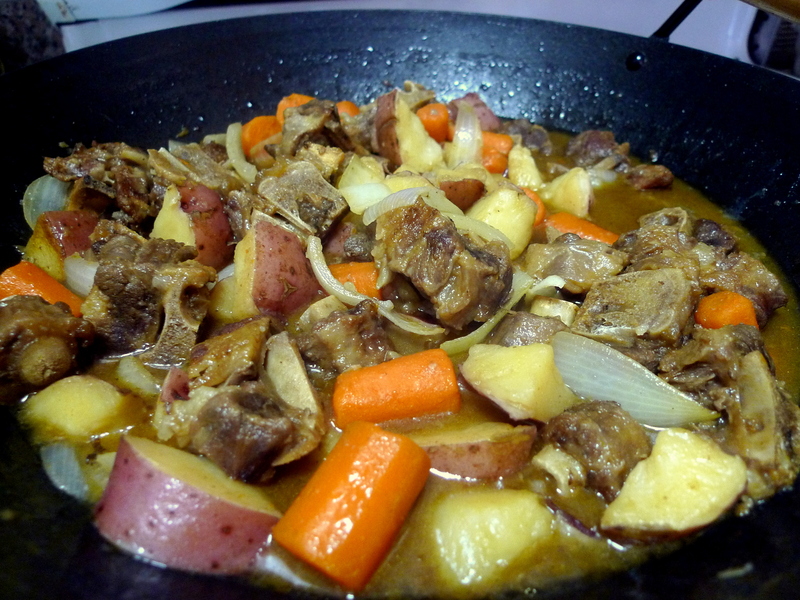 The stew keeps well in the freezer to be saved for a rainy day, and tastes great served over rice. 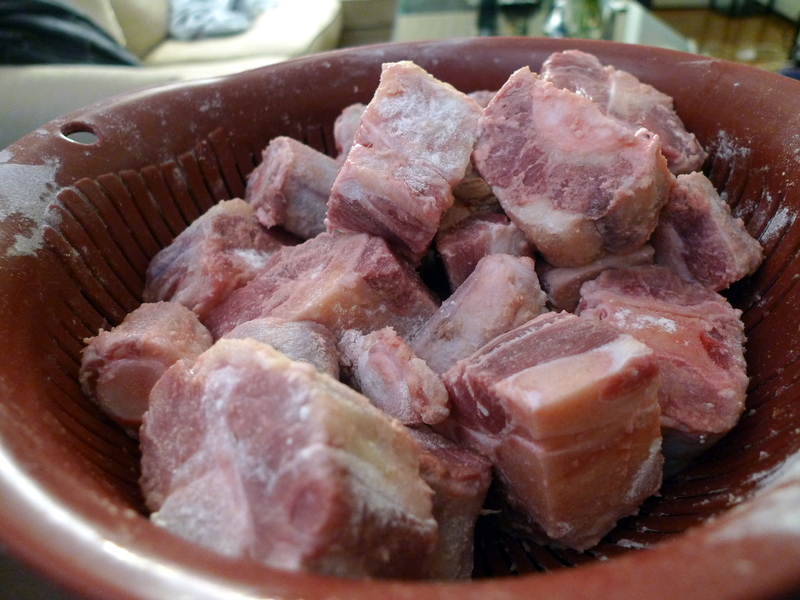 Toss the oxtail pieces with flour to coat. In a large wok or pot, heat 2 T cooking oil over high heat. Add the garlic and sauté until brown. 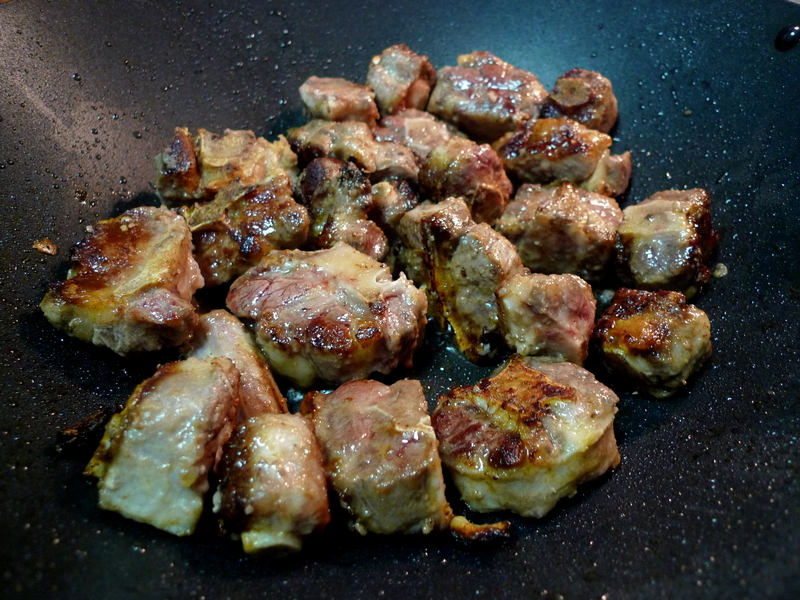 Add the flour-coated oxtail pieces and pan fry until all sides are browned (approximately 5 minutes each side). 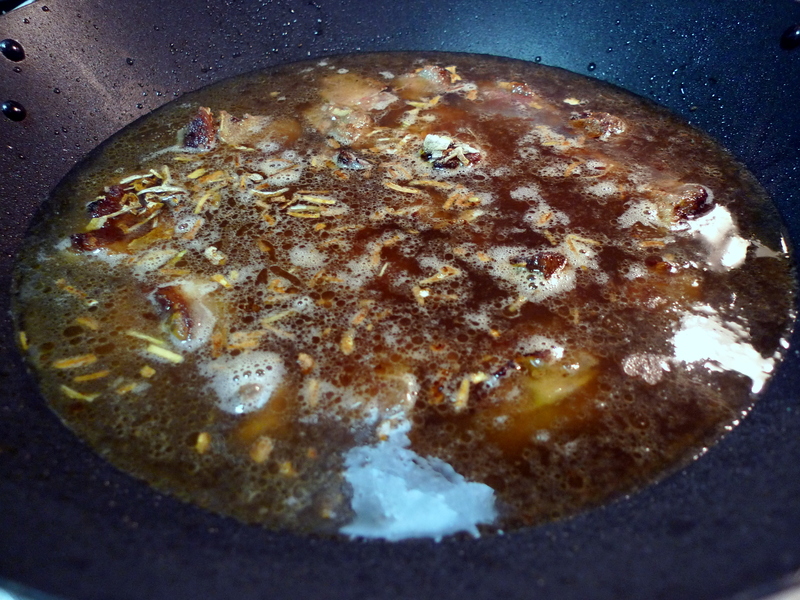 Next, add 2 C of cooking wine, 2 packets of onion soup mix, and 3 C of water to the pot. Make sure you add enough water so all the meat is completely covered. Bring the mixture to a boil and cover and let simmer for 2 hours. Check the pot every half hour to check the water level; I will keep adding water to ensure all the meat is covered (may add a couple more cups). After 2 hours, the oxtail should be tender to where it will easily fall off the bone. Add the chopped vegetables to the stew and cook for 20 more minutes until soft. Remove from heat. 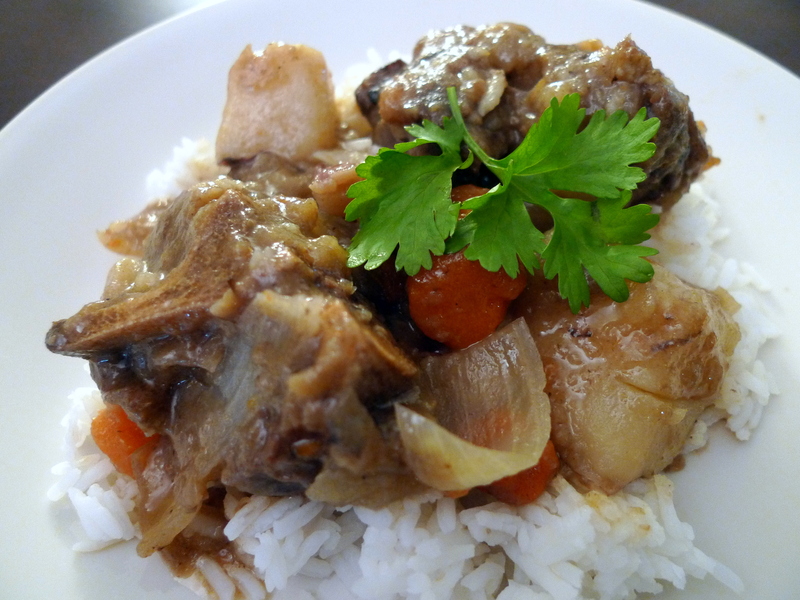 Enjoy this savory oxtail stew alone or over rice. Optional: garnish with scallions or parsley. Now that’s something different! But you make it look and sound good!